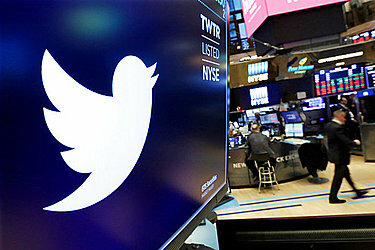 NEW YORK (AP) — It's no secret that Twitter has been purging fake and malicious accounts in an attempt to make its platform more welcoming for real people. But when a Washington Post report put an actual number on the effort — 70 million accounts deleted in May and June — the company's shares tumbled. Investors worried that the removals could put a dent in the company's reported user figures. As of the first three months of this year, Twitter had 336 million monthly users. The San Francisco-based company's stock plunged as much as 9 percent Monday before closing down $2.51, or 5.4 percent, at $44.14. But Twitter Chief Financial Officer Ned Segal says most of the removed accounts haven't been active for 30 days or more. As such, they don't count in Twitter's monthly user numbers. His comments helped the stock recover a bit midday Monday. "If we removed 70M accounts from our reported metrics, you would hear directly from us," he tweeted . Twitter said in May that its systems found nearly 10 million "potentially spammy or automated accounts per week." At that rate of fake-account detection, the 70 million could even be conservative.